Dive into the water with this Head MultiSport Wetsuit! designed to take part in any water based activity, the MultiSport wetsuit is extremely durable and flexible allowing it to succeed across a variety of different activities. The Head MultiSport wetsuit is the most versatile wetsuit in head's arsenal! Being extremely durable and comfortable, this wetsuit can be used in a variety of different water sports such as swimming, snorkeling, surfing, canyoning and much more. This basic and functional wetsuit is made with a 2.5 mm nylon-covered neoprene which provides both excellent flexibility and brilliant durability. The red back on the MultiSport wetsuit makes it much easier to be visible in the water. Teaming this MultiSport shorty wetsuit with some HEAD Swimrun Calves makes it a great choice for SwimRun and other competitive events. 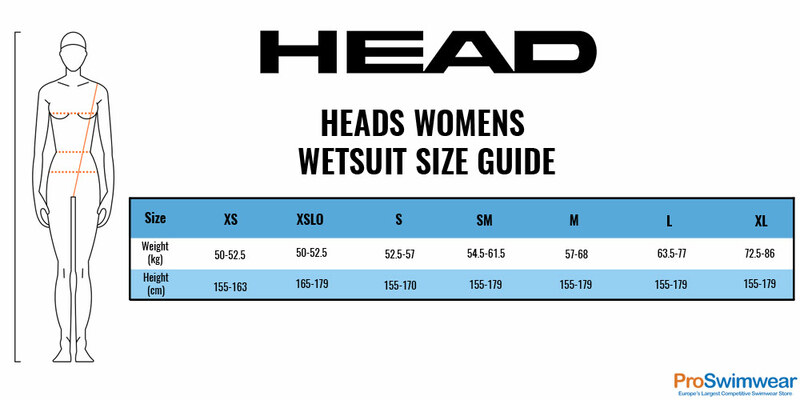 The Head MultiSport wetsuit featured a low neckline for added comfort as well as a typical rear-facing zipper with a long cord allowing for easy unzipping. Start your aquatic adventures now with the Head MultiSport Wetsuit!